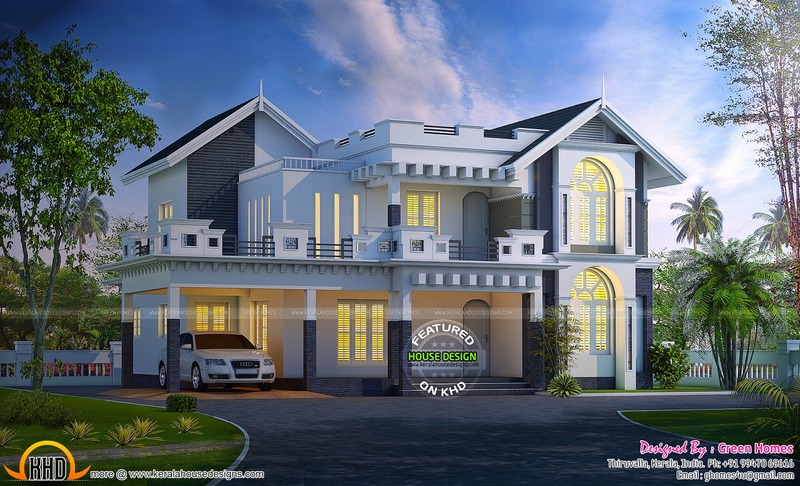 2531 Square Feet (235 Square Meter) (281 Square Yards) 4 bedroom villa exterior . Designed by Green Homes, Thiruvalla, Pathanamthitta, Kerala. Ground floor : 1704 sq.ft. First floor : 827 sq.ft. Total Area : 2531 sq.ft.